Scrum is an agile framework for managing work with an emphasis on software development. Scrum is a framework for developing and it also supports sustaining complex products. Scrum is a framework within which people can address complex adaptive problems. Scrum while being productively and creatively delivering products of the highest possible value. It is the opposite of a big collection of interwoven mandatory components. Scrum is a subset of Agile. So if you have finally found your dream job in Scrum but are wondering how to crack the 2019 Scrum interview and what could be the probable Scrum Interview Questions. Every interview is different and the scope of a job is different too. Keeping this in mind we have designed the most common Scrum Interview Questions and Answers to help you get success in your interview. 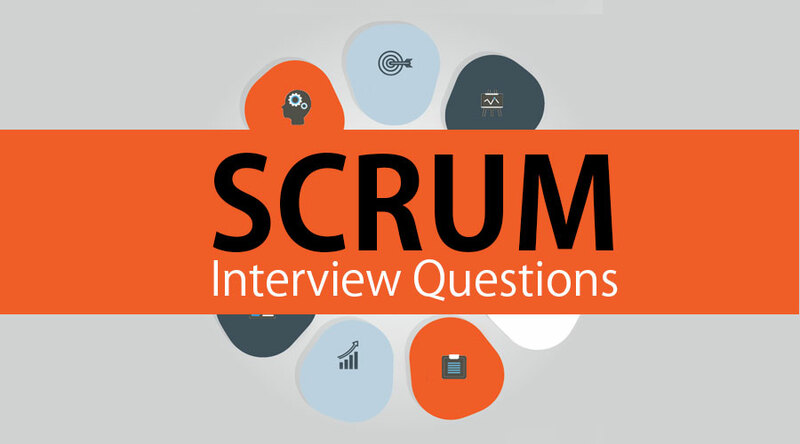 This first part covers basic scrum Testing Interview Questions And Answers. 1. What do you understand by Scrum Framework? Scrum is a software framework used by different teams to manage their work. Scrum implements the principles of Agile. It also implements practices and roles of Agile principles. Scrum itself is a simple framework for effective team collaboration on complex products. Scrum is not a methodology. Scrum implements the scientific method of empiricism. Scrum replaces a programmed algorithmic approach with a heuristic one, with respect for people and self-organization to deal with unpredictability and solving complex problems. 2.What are the features of Scrum Framework? Let us move to the next scrum interview questions. 3. How Scrum benefits an organization? 4.What are the different roles of Scrum Framework? 5. What is the role of a Product Owner? Product Owner takes responsibility for the entire team and their work. The product owner is responsible for keeping the backlog up-to-date and in priority order. Product Owner acts as a mentor to a team. Product Owner usually represents the Client and acts as a point of contact from the Client side. 6.What is the role of Scrum Master? Scrum Master is responsible to ensure the scrum process is followed by the team. Scrum Master acts as a facilitator and helps Scrum Development team to work smoothly. Scrum masters continually lookout for the team improvement, while also resolving impediments (blocking issues) that arise during the sprint. Scrum masters are part coach, part cheerleader and part team member. 7. What is the role of Scrum Team? Scrum Team is the individuals that actually build the product. They are the main developers of the project. The team owns the engineering of the product and the quality that goes with it. Developer’s, QA’s who basically builds the product. 8. What is the Scrum methodology? Scrum is an agile framework for managing work with an emphasis on software development. It is designed for teams of three to nine developers who break their work into actions that can be completed within time-boxed iterations. 9.What are different Scrum Roles? 10.What are the different Scrum meetings? 11.What is the difference between Scrum and Extreme Programming? •Scrum is a software development methodology while Extreme Programming is a programming practice. •Scrum and Extreme Programming are agile techniques and often used together. 12.Is scrum fit for a small organization? 13.What are the advantages of doing Scrum? 14.What are the artifacts of Scrum process? 15.List out the disadvantages of Scrum? 16.What is the difference between Agile and Scrum? •Agile is a broad spectrum, it is a methodology used for project management while Scrum is just a form of the Agile that describes the process and its steps more concisely. •Agile is a practice whereas scrum is a procedure to pursue this practice. 17.What is the similarity between Agile and Scrum? The Agile involves completing projects in steps or incrementally. The Agile methodology is considered to be iterative in nature. Being a form of Agile, Scrum is same as that of the Agile. It is also incremental and iterative. 18.What are the responsibilities of a Scrum Master? 19.What is Scrum of scrum means?